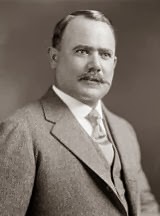 In 1922 Mexican President Álvaro Obregón invited Mennonites to settle in the northern regions of the country. 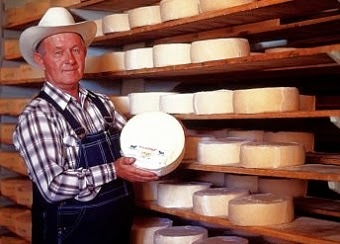 He offered them cheap land and freedom from taxation for 100 years as long as the Mennonites agreed to supply cheese (now called Queso menonita) for northern Mexico. The Mennonites were also given freedom to organize their own education system and freedom from military service. A total of 20,000 Mennonites arrived in 1922 in a mass migration beginning in March 1922. Over a four year period a total of 36 trains of 25-45 cars made the journey from Canada to Mexico carrying the settlers and their farm equipment. A total of 200,000 acres (810 km2) was obtained by the church. 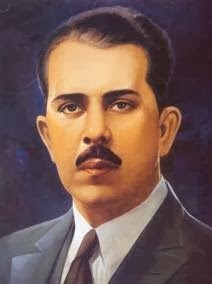 In the 1930s the Socialist government attempted to remove the special rights that had been granted to the Mennonites but they were re-established by President Lázaro Cárdenas in 1936. Using modern methods the Mennonites established farms, machine shops and motorized vehicles for transporting produce (although automobiles were forbidden for common use). Canadian oats, beans, apples and corn were the main produce. Forty settlements were established. The villages followed Mennonite architectural styles existent in Russia and Canada and the names were based on former names in Canada such as Rosenort, Steinback and Schönwiese. Three Colonies were established; the Santa Clara Colony, the Swift Current Colony and the Manitoba Colony. The Colonies were based on former Mennonite social structures in terms of education and similar prayer houses and unsalaried ministers. Conservative dress and traditional roles for women were the norm. In Chihuahua, Mennonites continue their lifestyle with several reforms, such as the use of automobiles, although most use horse and buggy. They coexist, learning Spanish and English and living side by side with Tarahumara Indians in the hill country of the state. About 50,000 Mennonites reside near the city of Cuauhtémoc in Chihuahua. In Durango, there are 32 Mennonite communities (30 in the Municipality of Nuevo Ideal and 2 and the Municipality of Santiago Papasquiaro). Mennonites in Durango number more than 7,000 most of them living in Nuevo Ideal. Nuevo Ideal's lies around 124 kilometers, north of Durango City. Once in Nuevo Ideal, it becomes central transit point where the main roads that communicate Northwest and Northeast Durango separate (the road going northwest to Tepehuanes is paved while the one going to Escobedo, Durango towards the northeast, is a dirt road). 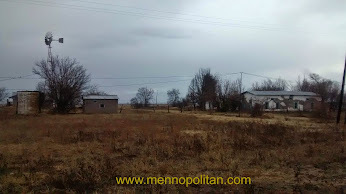 Mennonites benefit from this transit point since many travelers and truck drivers stop in Nuevo Ideal in search of Menonita Cheese. The largest denomination as of 2006 is Altkolonier Mennonitengemeinde with 17,200 members. Evangelical Mennonite Mission Conference is having 97 members, Kleingemeinde in Mexiko is having 2,150 members, Reinländer-Gemeinde is having 1,350 members & Sommerfelder Mennonitengemeinde is having 2,043 members.